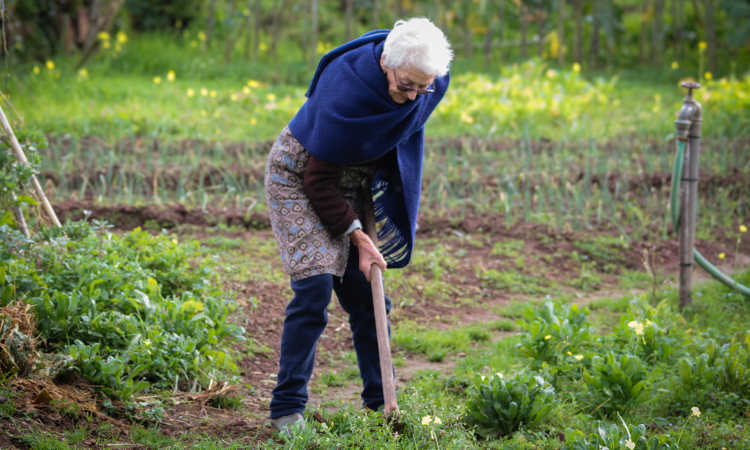 As you become older, you may feel inclined to give up your beloved gardening past time as physical activity becomes more difficult. Elderly gardening may seem to be too much effort. But don’t give up! With the help of some very helpful tools and tips, you can continue to garden well into your golden years. 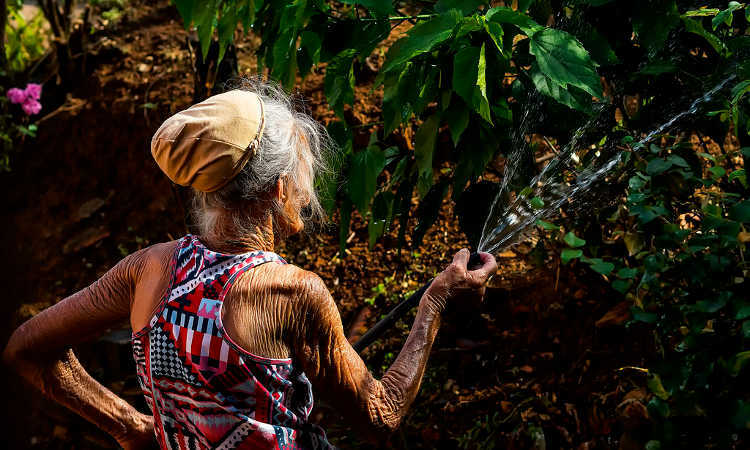 While gardening can stock your kitchen with delicious vegetables and fruits, in the case of senior citizens the additional benefits of gardening become even more important. First and foremost, gardening is an excellent form of exercise that gets you moving. Studies show that even small levels of physical activity in the elderly can extend lifespans dramatically, as well as enhance overall quality of life. What could be better to do that with than with an activity you already love like gardening? The positive benefits associated with gardening as a senior citizen aren’t just limited to living a longer and more fulfilling life. In addition to the obvious benefits of being fun and financially smart, gardening for the elderly pays off in a number of different ways. Getting moving in the garden is an excellent form of physical therapy and exercise. Every movement that you do while gardening builds strength, flexibility, endurance, and aerobic capacity. It’s low-impact, too. Being out in the sun helps your body produce more vitamin D. Vitamin D is absolutely vital for bone and immune system health. Just don’t forget to wear sunscreen! It can reduce the chance that you’ll develop osteoporosis. Regular exercise can strengthen your bones and your muscle system. That increased vitamin D intake you’ll get from the sun is an added perk. Also, gardening reduces the chance of heart attack or stroke. In fact, among the 60+ age group, it was shown to reduce the danger of heart attacks or strokes by as much as 30% in this study published by the British Journal of Sports Medicine. Hand strength and pinch force are improved, as well. 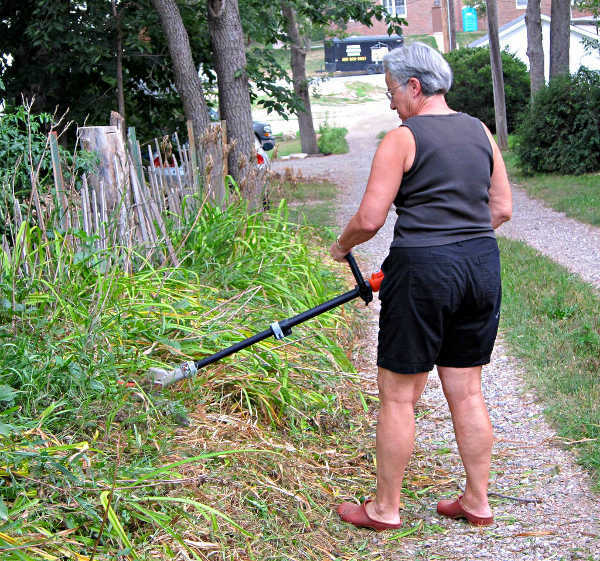 People who garden routinely find their hands more dexterous later in life than those who don’t. 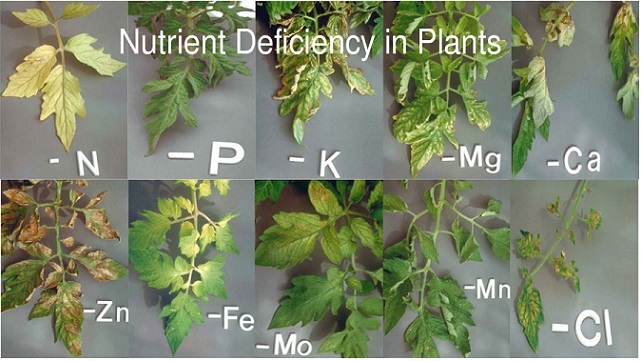 This study, done at Kansas State University, also stated that gardening can boost the self-esteem of older gardeners. Gardening is a stress-reliever. One study done in the Netherlands found that, when compared to other forms of relaxation such as reading, gardening was exceptionally good at relieving stress. Higher serotonin levels have been reported from regular gardening, along with a decrease in depression and anxiety. The soil is filled with many different bacteria, and one of them, Mycobacterium vaccae, may act as nature’s antidepressant. A study done in London on cancer patients showed that those who were given this soil bacteria along with their treatment had better quality of life during their chemotherapy. They were happier, more relaxed, and had better cognitive function than those who did not have the bacterial additive. Dementia patients also benefit. 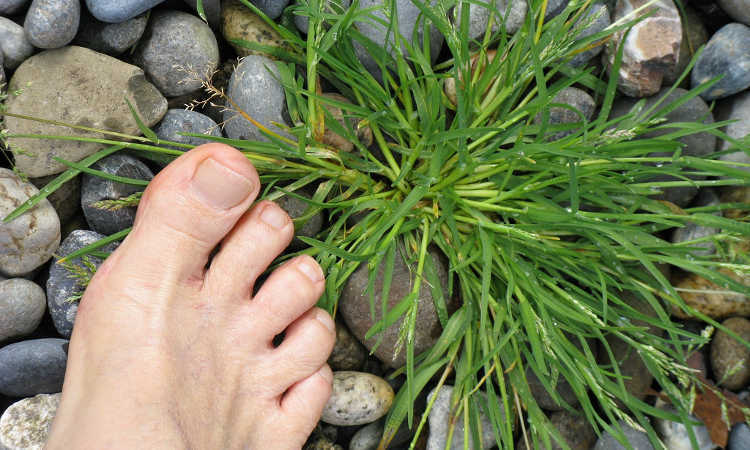 Horticultural therapy helps patients to learn new skills and regain lost skills. It also helps improve memory, increases attention span, reduces frustration and anger, reaffirms a sense of responsibility, and improves social interaction. This study lists many other side benefits for people suffering from dementia or Alzheimer’s which are equally fascinating. And if all that wasn’t enough, it’s rewarding. Not only do you have the pleasure of harvesting your own produce, but you get a lift out of watching the plants develop and grow. It is significant enough, in fact, that NASA encourages staff on the space station to grow plants. They find it reduces loneliness, slows the sense of isolation, and decreases stress. 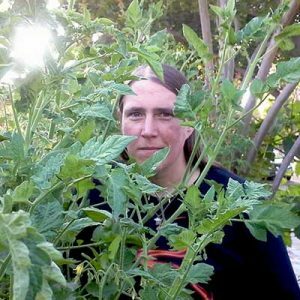 Being aware of all the positive effects of gardening only provides further motivation for the hobby you already know and love. 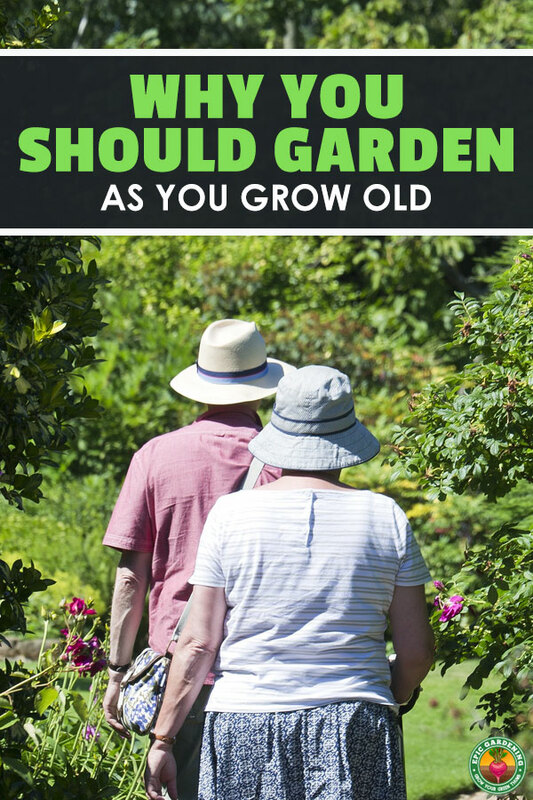 But as a senior gardener, knowing the right tips and tools can make all the difference when it comes to making the most out of your garden and health. You may not have the same strength and flexibility that you used to, but that doesn’t mean you have to stop gardening. Using the following tips will ensure you and your garden stay lively for years to come. 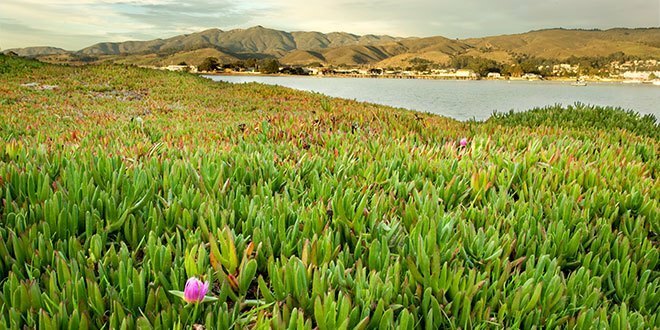 In addition to the tricks above, it is also recommended to pick plants that can tolerate being left to their own devices. If you need to skip a day here or there, you don’t want it to compromise the health and success of your garden. But you shouldn’t stop there. By including just a few pieces of specialized equipment you can make things more enjoyable and comfortable! By choosing the right items to garden with, you can increase not only the time spent in the garden, but your personal enjoyment. And you might increase the garden’s yield as well! 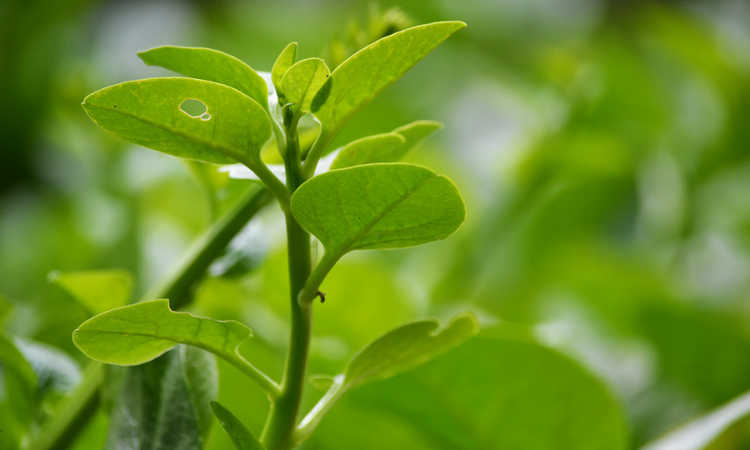 Many vegetables such as cucumbers, melons, and beans are able to grow very well on a trellis. On top of that, maintaining and patrolling your crops for pests is much easier and can be done while standing. When it comes time to harvest, you can cut directly from the trellis and place into a basket without bending over. This saves your back while you’re stocking your pantry. 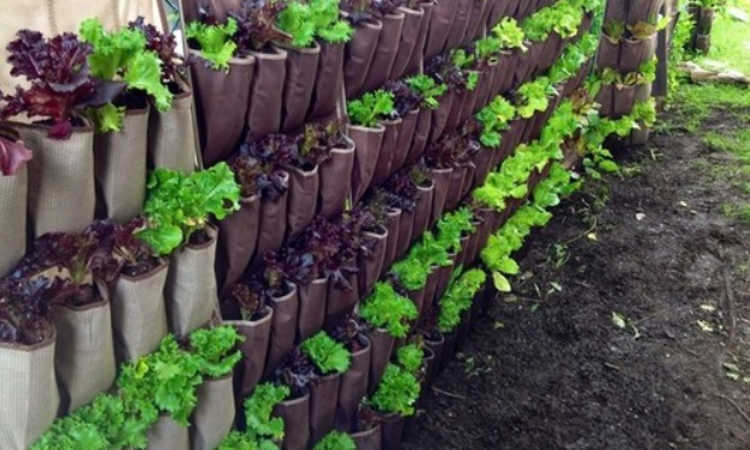 On top of that, vertical gardening can be done almost anywhere you have a sunlit wall or fence with the use of fence planters. Keep in mind that whatever structure you choose will need to be sturdy enough to support not just the weight of the plant when starting, but fully grown as well. One easy and popular choice is the use of a tiered vertical gardening planter like this Mr. Stacky planter. You can place it on a bench or other outside structure. This can also really help to liven up an outdoor living space that may be begging for some much-needed attention. Another option is to take your vertical space indoors. A living wall garden such as this Vertibloom starter kit allows you to turn any wall with direct sunlight into a garden full of fruits and vegetables. Imagine being able to harvest your tomatoes just three feet from where you cook them. Now that’s gardening in style! Raised garden beds allow you to plant from a raised level without putting your back and shoulders in a compromised position. 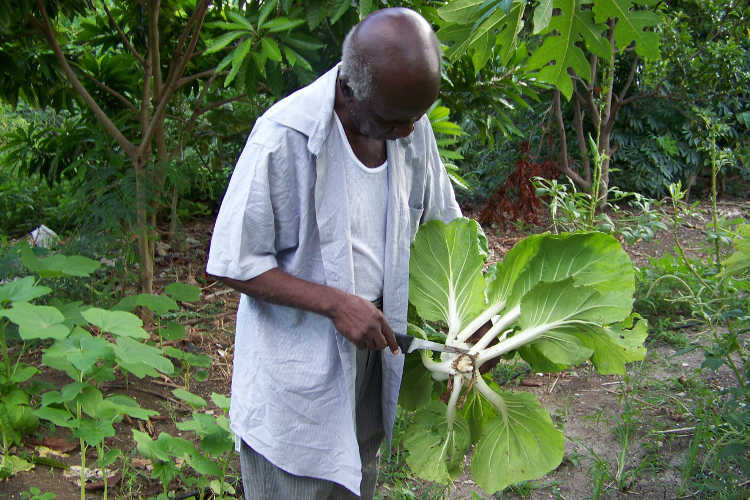 For strenuous tasks like weeding and harvesting, this can make all the difference in the world. Building your own out of wood is a cheap and durable option. Plan for where the beds can have direct access to sunlight for at least most of the day. Additionally, keep your bed to a width of three feet—any wider makes it difficult to manage. Plan out what you’d like to grow and build specifically for your needs. There’s a wide variety of raised bed plans just waiting to be built. But if you’d prefer something even more simple, you might consider a raised bed kit. 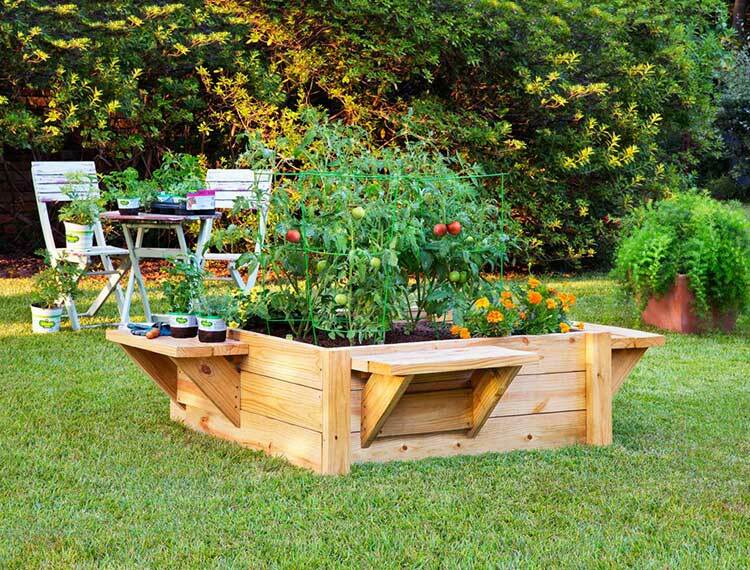 This raised bed planter from Greenes Fence has legs, raising your garden to a workable height. If you need to make the most of your ground-level garden space, a kneeler becomes an obvious great choice. With soft padding for your knees, getting down on your plants’ level becomes much more realistic and doable. Furthermore, it can hold your essential tools and necessities to make sure you don’t have to search for a misplaced pair of shears or pack of seeds. A personal favorite is this Ohuhu garden kneeler. When you aren’t using it to do ground-level work, flip it over and it becomes a stool for you to sit on between tasks! The handles can help you support your weight whether sitting or trying to stand back up. Looking for more options? 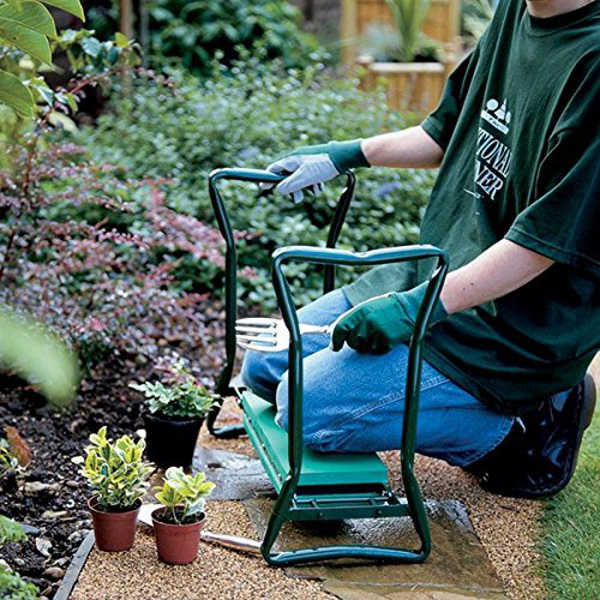 Check out this piece on finding a good gardening seat for the elderly. If the kneeler just isn’t working out, or you’re looking to make the most of your gardening potential, a garden scooter is the best option. With a swiveling seat that adjusts, attachments for your tools, and a place for a bucket, the Gorilla Carts garden scooter is a great choice. You can reach every angle of your plants with ease and knock out gardening tasks in record time as you roll about your garden comfortably. Need something that can take heavy-duty work? Consider this Sunnydaze rolling scooter. It offers 360 degrees of seat rotation, giving you total access around you. And its pneumatic tires will easy roll over ragged grass or mulch. Once you use one, you likely won’t want to garden anytime you don’t have it. These can be great tools to lessen back strain! As you get ready to plant your next batch of flowers or harvest your next crop of tasty vegetables, don’t let your age discourage you! Knowing the benefits will help motivate and encourage you, and taking advantage of all these tips and tools at your disposal will make things even more enjoyable, comfortable, and fulfilling. 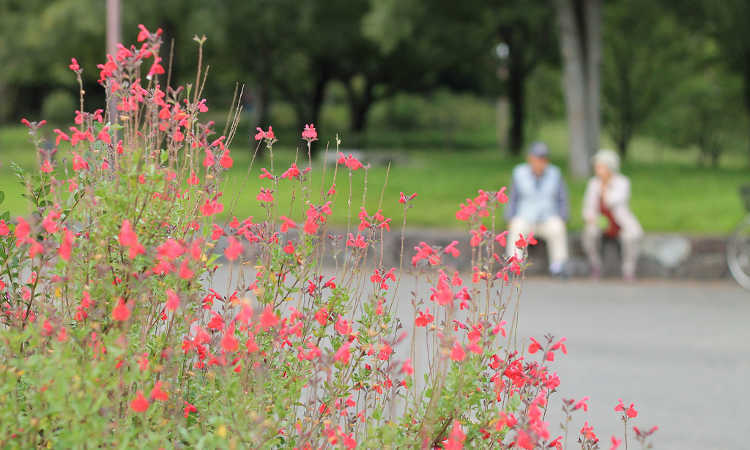 Elderly gardening is good for your body and your mind, plus it has other benefits! The next time someone tells you you’re too old to garden, hand them a bite of your delicious harvest and let their priceless reaction do the talking. With all of the incredible benefits that gardening can bring, it’s no surprise that I plan on gardening well into old age. Have you discovered any of the healthy aspects of gardening on your lifestyle? Share stories with everyone in the comments below! 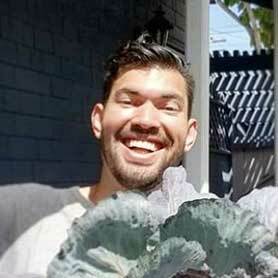 I love to garden it gives me peace of mind , imagination and pleasure . It is very rewarding when you see everything grows and colorful . I will never stop gardening . My neighbors ask me why I am always in my garden , my reply is , gardening for me is very therapeutic and enjoyable . Totally agree – that’s why I do it as well. I hope to be able to do it into my old age!